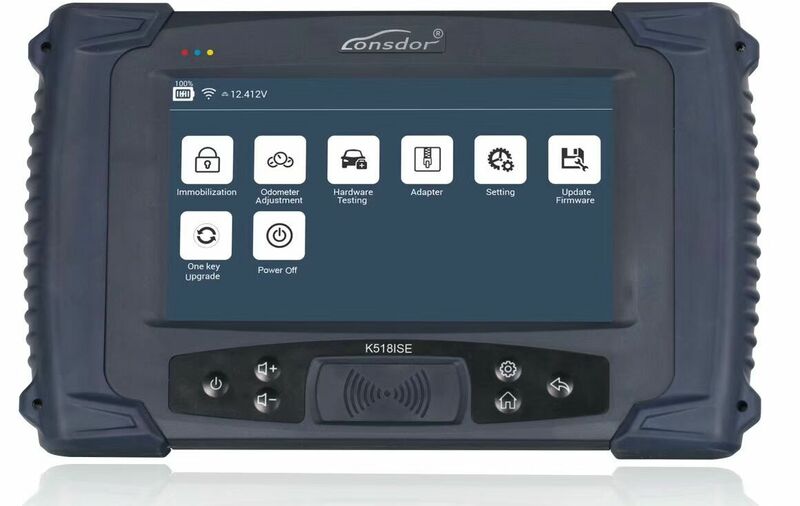 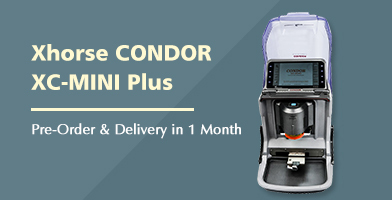 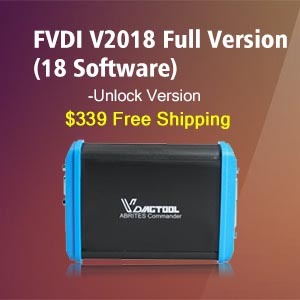 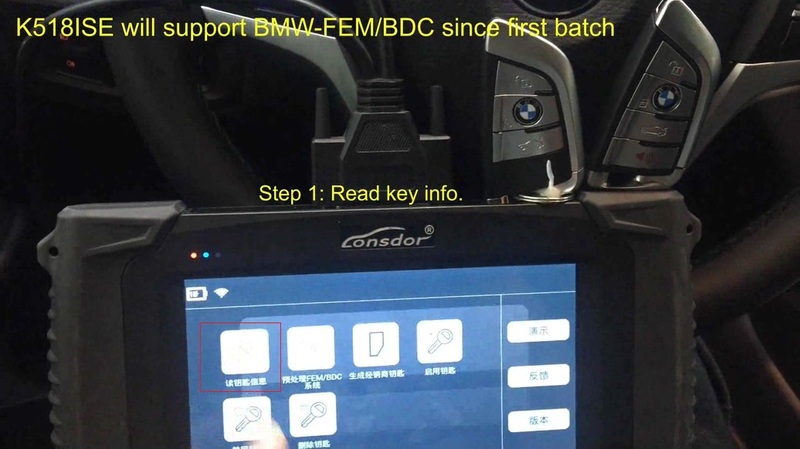 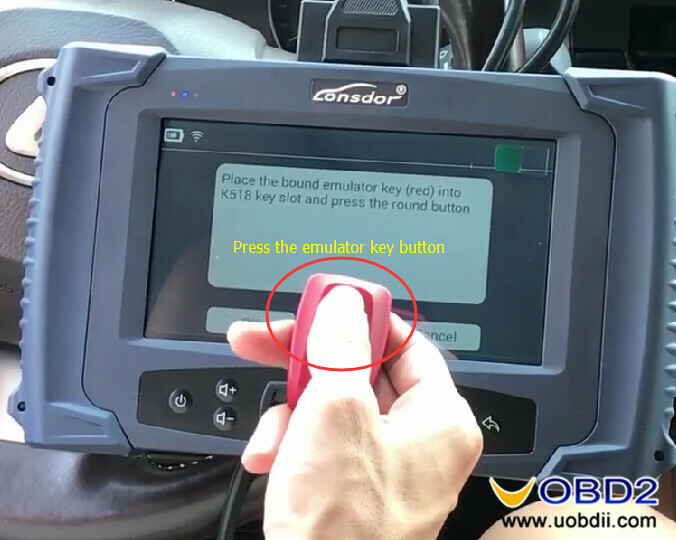 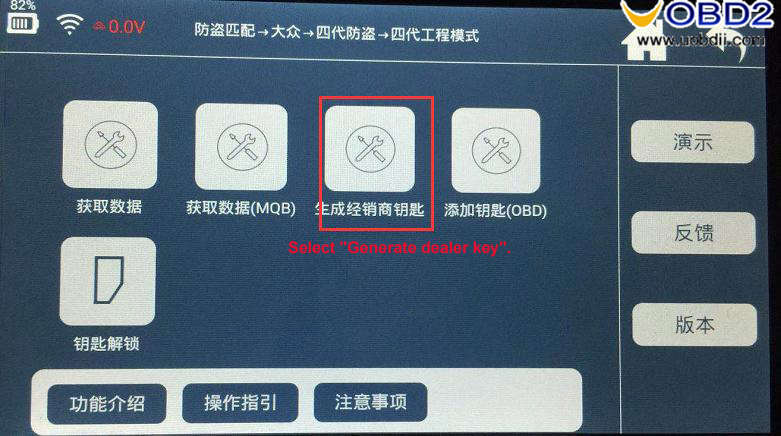 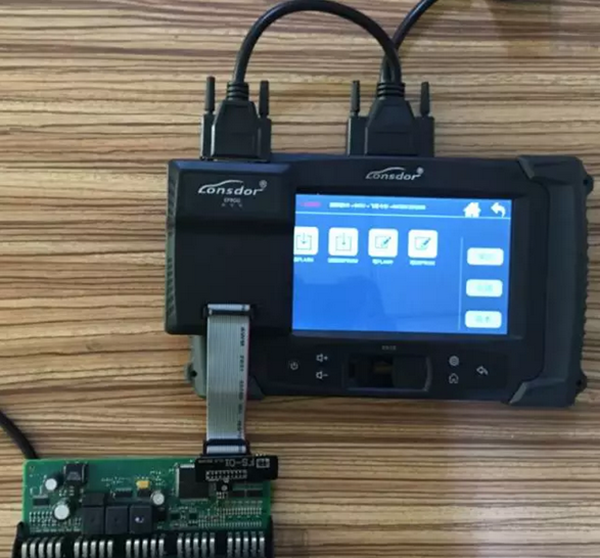 Firstly use VAG OBD helper to read out 4th IMMO data / MQB data via OBD method, secondly with the IMMO data to program key with Lonsdor K518ISE key programmer. 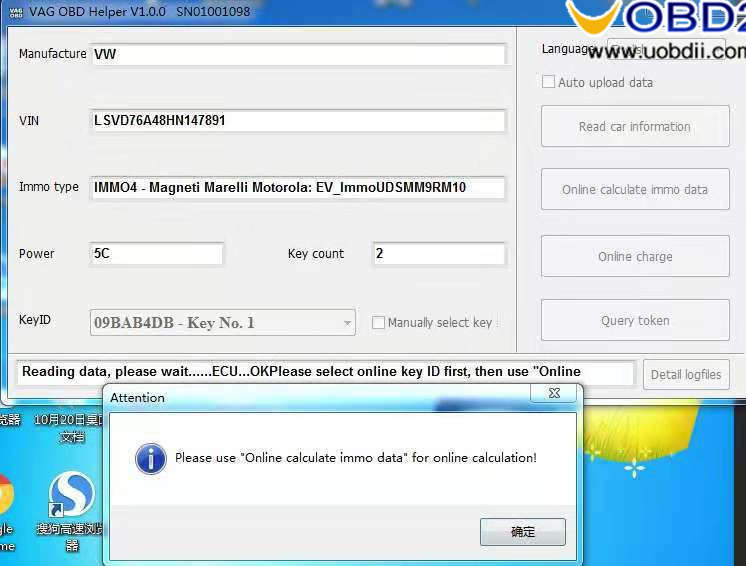 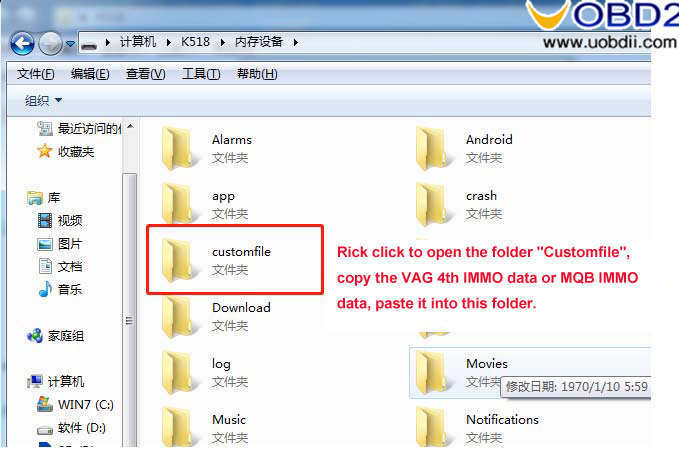 Part 1: How to use VAG OBD helper to read out 4th IMMO data / MQB data? 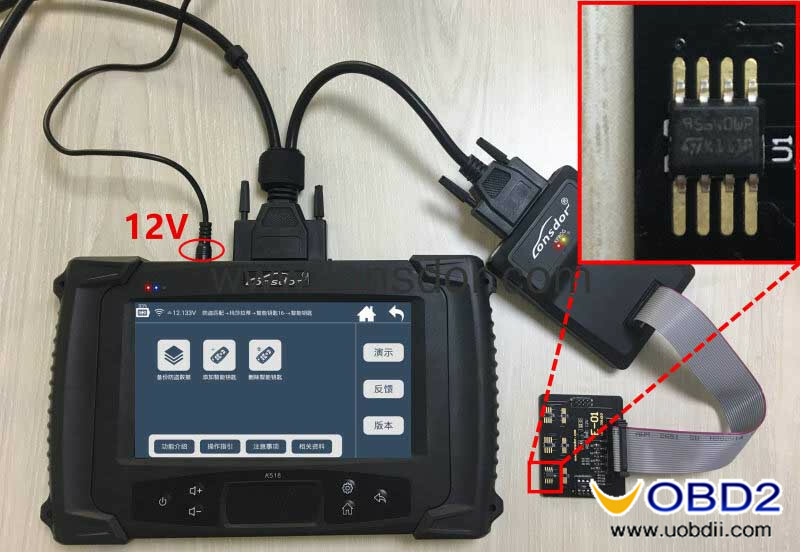 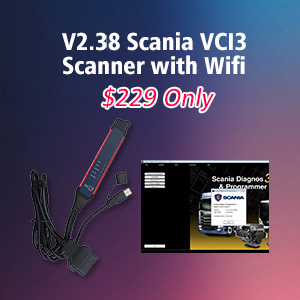 1.Hook VAG OBD helper up the vehicle via OBD port. 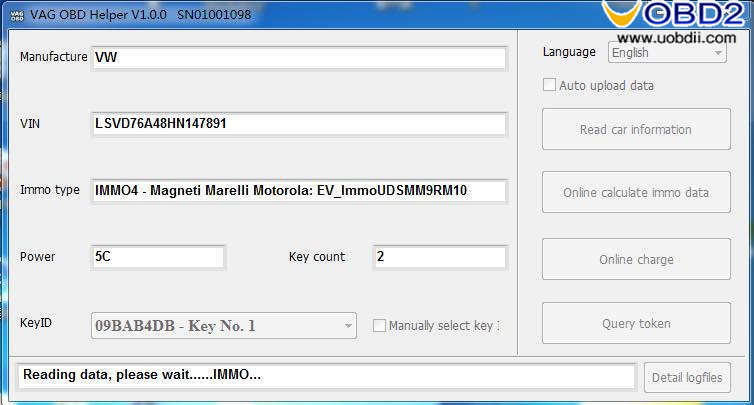 Part 2: How to use Lonsdor K518ISE to program key with the IMMO data? 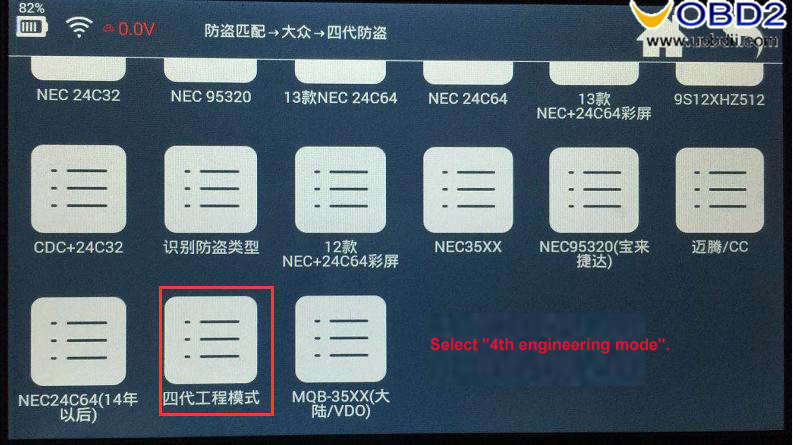 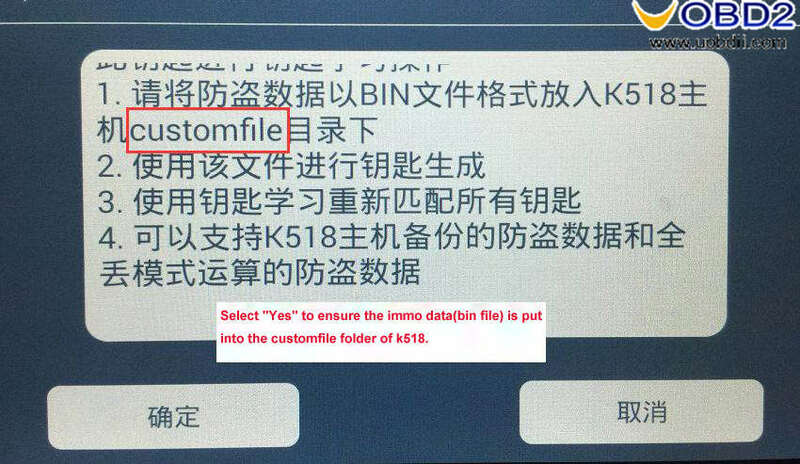 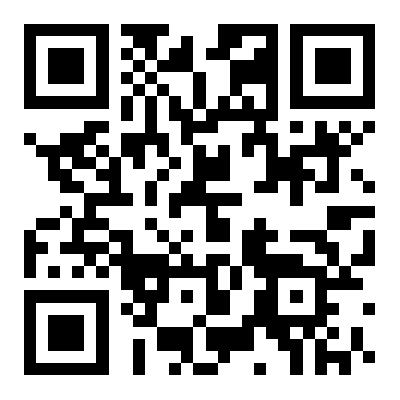 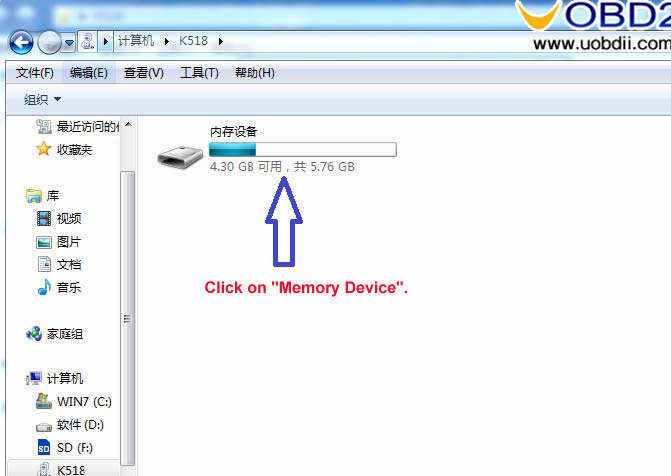 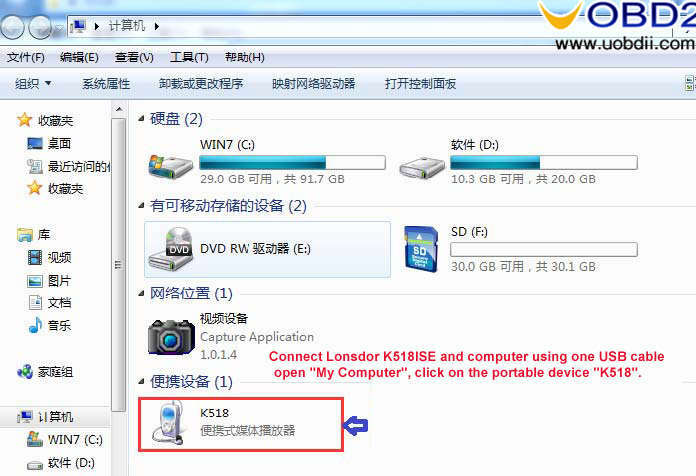 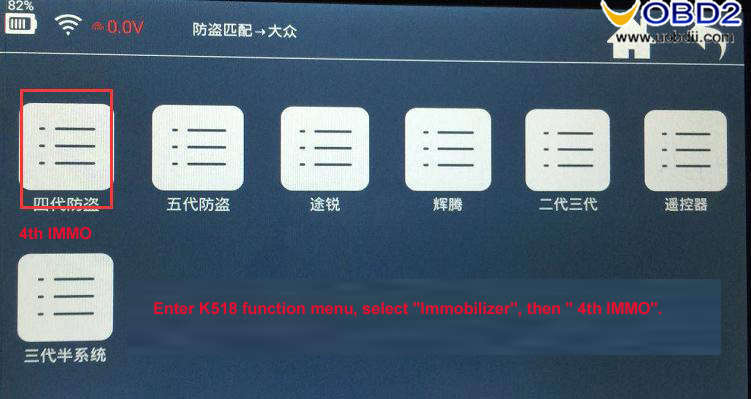 4.Enter K518 function menu, select “Immobilizer”, then ” 4th IMMO”.